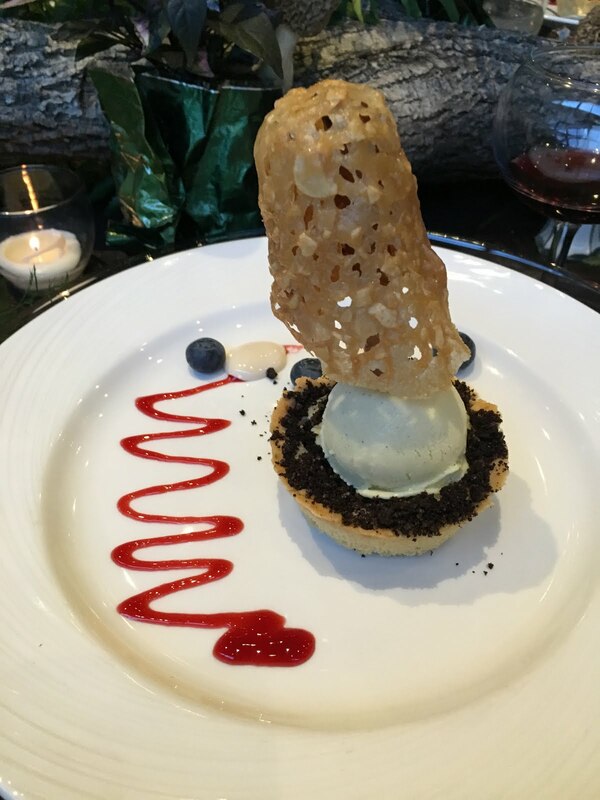 I shared a bit on this trip on my travel blog, but wanted to share it here on the food blog as well. I was invited out in the spring to Eagle Ridge Resort in Galena for the 3rd annual Morel Media Hunt. 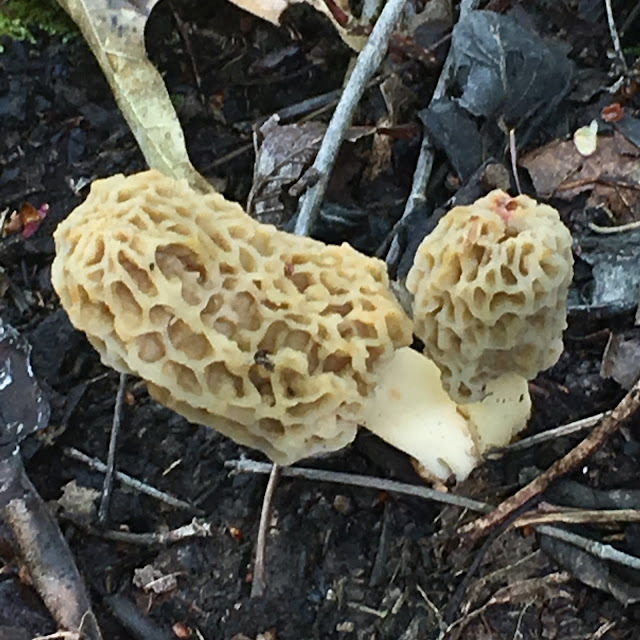 Morel hunting is something I had never done before, so it was a fun new experience for me. We stayed in a rental house on the lovely resort in this peaceful town that attracts golfers and shoppers and history lovers and antique hunters and those who appreciate bustling, but charming main streets with quaint shops and unique architecture. The highlight of our visit was our hunt in the woods for these delectable and short-lived mushrooms, but we were also treated to some phenomenal food while we were there. 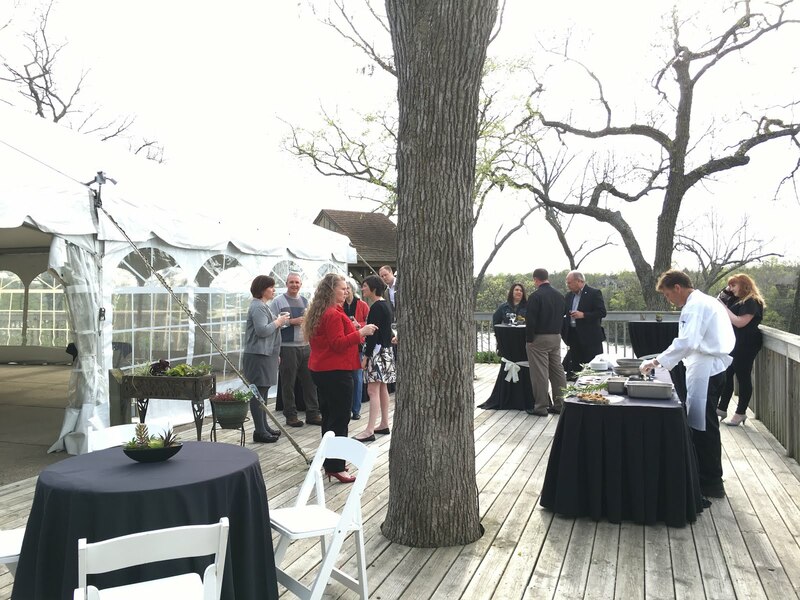 The culinary team went all out in planning the Morel Media Dinner that we enjoyed the evening we arrived. 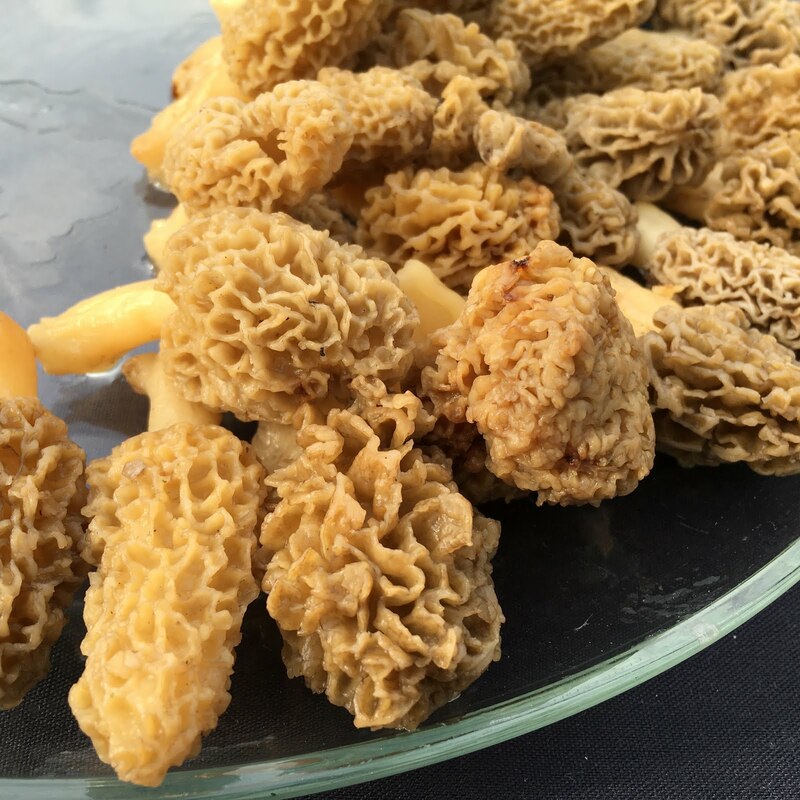 They did a phenomenal job of incorporating the morels into each course of a fantastic gourmet meal. Other ingredients foraged from the area were also featured in the meal, like one of the most delicious desserts I've ever had - a wild violet sorbet. 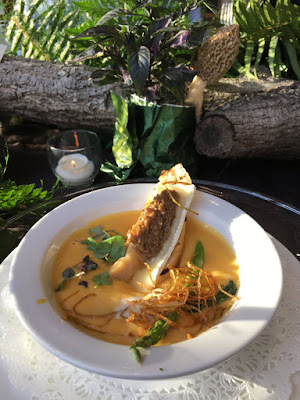 Our hunt took us out into the woods into a secret spot on the grounds where the chefs led us through and informed us on what to look for. I quickly determined that I never would have made it in pioneer times when I had to forage for my food. I only spotted two during the hunt. But I did bring them home and used them to make a delicious sauce for some chicken. 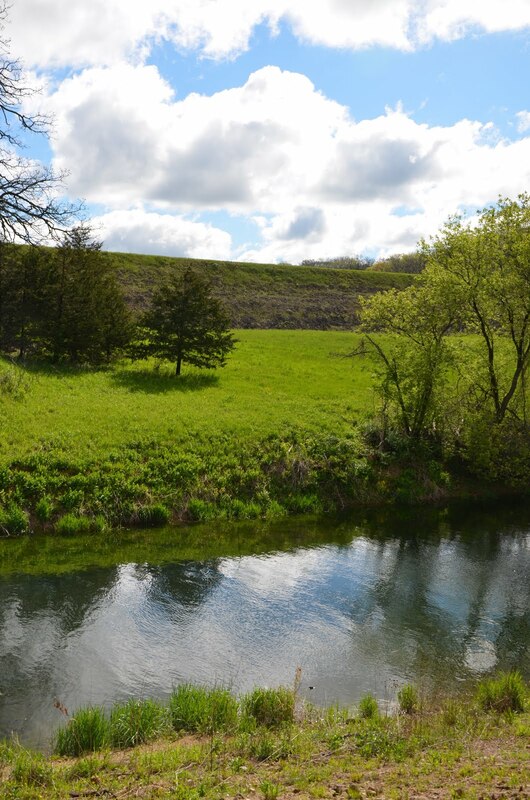 Galena is a delightful area for a getaway and foodies will be in heaven at the Eagle Ridge Resort and Spa's restaurant, the Woodlands Restaurant and Lounge, where you can enjoy fresh, seasonal fare on the breakfast, brunch or dinner menu. They also feature weekly specials, which currently include such dishes as Ramps Pancetta Prawns, Spring Lamb Pappardelle and Macadamia Crusted Scallops. For more info on the resort, visit eagleridge.com.